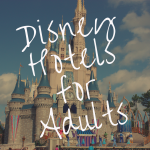 Disneyland is a place that brings out the child in everyone, but that doesn’t mean that there are only child-friendly attractions at the parks. At both Disneyland and California Adventure, toddlers and retirees alike will find rides, sights, shows, and food experiences to delight the pickiest of park-goers. This list aims to help everyone find a little extra magic at Disneyland, whether you’re a thrill-seeker or budding artist, looking for gourmet restaurants or retail therapy. Some of the classic rides at Disneyland are classic for a reason. 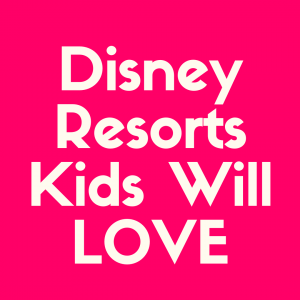 Many date back to the 1950s and 60s when the park was in its infancy, and are beloved by all. 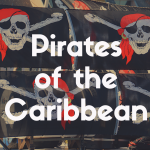 Pirates of the Caribbean and Haunted Mansion are two great examples of rides suitable for all ages, especially with the recent updates to Pirates to incorporate music from the films and hidden Jack Sparrows dotted around the ride. They’re dark and just scary enough, with great theming and storyline. The same goes for the classic “mountain” rides: Splash, Space, and Big Thunder, which are scream-inducing and heart-stopping. However, when it comes to the best Disney rides for adults, two more recent rides go above and beyond their older siblings in terms of theming, thrills, and overall “cool” factor. Like Pirates, they both have highly successful movie franchise tie-ins (and both feature iconic John Williams scores). We’re talking about Star Tours – The Adventure Continues and Indiana Jones: Temple of the Forbidden Eye. Set in Tomorrowland, Star Tours is less of a roller coaster and more a motion simulator with a 3-D screen, but that doesn’t decrease the sense of awe or excitement; in fact, it amplifies it. Set in that familiar galaxy far, far away, the premise is that audiences are groups of “space tourists” on a C-3PO-manned craft, when clashes with Imperial forces take you for a wild ride. Each guest gets a set of 3-D glasses and the technology of this ride is really incredible; you feel like you’re inside a George Lucas film. One of the best parts of Star Tours is that it is almost impossible to ride the same ride twice, because there are several different segments, with various openings, messages, and endings as well as four different destinations. You could find yourself on snowy Hoth, desert planet Tatooine, the Wookie home planet Kashyyyk, or newly featured Jakku. In total, there are over 300 different ride combinations. It would be difficult to get bored on this ride! Die-hard Star Wars fans will love it, but even people with just a passing knowledge of the series will seriously enjoy this ride, with its high-tech visuals and immersive atmosphere. Over in Adventureland, get ready to hop in a Jeep-style transport (extra fun if you can sit behind the wheel in the driver’s seat). You’ll be taken to India circa 1935, on the search for Harrison Ford’s character, who recently disappeared inside this jungle temple to deity Mara. 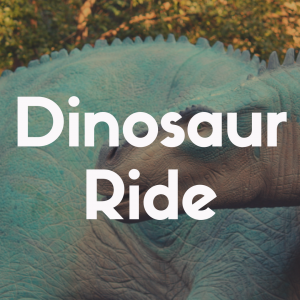 It’s a rough-and-tumble ride, with the truck crossing treacherous lava, pits, and bridges while catching glimpses of animatronic Indiana Jones all across the terrain. Like the Star Wars ride, it really immerses you in the world of the movies and leaves you breathless at the end. But adult rides aren’t always about scare factor. It takes a special ride to be soothing and exciting at the same time, and Soarin’ Around the World over in California Adventure does just that. You’ll see the Taj Mahal, the Eiffel Tower, a pod of whales breaching in the Pacific, until you return right back to where you started from: the fireworks of Disneyland from up above. Special touches include salt air blowing in your face, and scents like rose petals, or dry African grass as elephants trample it. It’s one of the best flying simulations out there. Utterly relaxing, and a welcome chance to breathe in the middle of a hectic Disney day. The perk of going to Disneyland as an adult without kids is that you can really enjoy the fine dining experiences the park has to offer. Now, this isn’t to say you shouldn’t treat yourself to a corn dog (you should, because they’re delicious here). You can also treat yourself to a nice meal at several of Disney’s fantastic upscale dining locations, or you can take advantage of California Adventure’s many boozy beverages. They offer specialty cocktails, craft beers, and even a food and wine festival which usually falls in early spring. Assuming you can’t get into Club 33 (the New Orleans Square private member restaurant with a ten-year wait list), there are two upscale restaurants in the parks themselves: Blue Bayou, which is the Pirates of the Caribbean restaurant at Disneyland, and Carthay Circle in California Adventure. If you’ve ever been on Pirates of the Caribbean, you’ve seen the seating area of Blue Bayou as you embark on your swashbuckling journey. Across the park, Carthay Circle is themed after the theatre that Snow White originally premiered at in the 1930s, and everything from the wall murals to the seat cushions are inspired by the film and the era. It is incredibly luxe inside and out, if you choose to sit on the terrace (where you can get a great view of the fireworks). Recommendations for food include the jalapeño-cheddar-bacon house biscuits, but the menu changes frequently as it is seasonally inspired. You won’t find any alcohol in Disneyland proper (except in the aforementioned Club 33), so you’ll want to pop over to California Adventure for any boozy drinks, of which there are many. Listed below are the bars and lounges at the park, but various beers and other specialty cocktails can be found at most of the eateries scattered around. If you’re not a drinker but want to join in on the fun, tasty mocktails are on almost every menu. Of course, don’t limit yourself to California Adventure. Downtown Disney and the resort’s hotels have many options too, like Tangaroa Terrace’s Dole Whip float with a splash of rum. Sonoma Terrace – more focused on craft beer, but with some good wine and food selections like Bavarian pretzels. Bayside Brews – offers six beers on tap, as well as sampling flights and pretzels. Check out this article for more beers in the park. Disney California Adventure Food & Wine Festival. If you can schedule your visit for March and April, you’ll encounter this event that celebrates California’s many culinary and agricultural delights: wine, cheese, citrus, berries, almonds, avocados, artichokes, chili peppers, to name a few. It is a less crowded event than similar festivals at Walt Disney World Orlando, but its itinerary doesn’t disappoint. Between live music, celebrity chef appearances, beer and wine tastings, and pop-up stands offering specialty snacks, this would make the perfect adult-focused trip. Late night can be a great time for adults at Disneyland, and nighttime in general makes the park extra glittery and magical, with all the lights and sounds. In addition to the two events detailed below, remember that a lot of families with small children clear out of the park the later it gets, so the park becomes a little more adult-oriented at night. If there are rides that are usually packed with kids (like Peter Pan’s Flight) that you’ve been wanting to go on, try going during or after the late night shows like Fantasmic and you might find the line manageable. These are themed after-hours events hosted inside the park, inspired by days like Valentine’s Day, the Marvel Universe, or decades such as the 1990s. Each set of nights is unique and require advance booking of a special ticket, but you can expect special merchandise, photo ops, food offerings, character meets, and a general party atmosphere lasting into the small hours. Not many people know about this event; it’s often something you stumble across by accident. But every Saturday evening (usually from 7pm) where Fantasy Faire usually is, you can hear top-notch big band and jazz performers play familiar toe-tapping tunes. The dance floor gets packed, but not so crowded that you can’t let yourself go. Everyone from toddlers to professionals takes the floor. If you really feel like you have two left feet, it’s fun just to sit, watch, and listen. It makes for a lighthearted, romantic evening event full of magic under the stars. Most people associate Disneyland shopping with t-shirts, keychains, and oversized plush animals, but they probably haven’t explored the shops that you encounter as you exit the Pirates of the Caribbean ride. A collection of boutiques line the New Orleans-inspired streets, boasting a plethora of very grown-up wares with very grown-up prices. A stand-out is LeBat en Rouge, which stocks gorgeous vintage-style dresses with bright Disney-themed prints like the “it’s a small world” ride, Dole Whip, or Mary Poppins. You can get custom-decorated parasols, shop for fine perfumes and colognes at Mlle. Antoinette’s, or add a Disney Pandora charm to a bracelet at La Masquerade d’Orleans. There are also two shops that focus solely on pirates and Nightmare Before Christmas merchandise, which is fitting given their proximity to Pirates of the Caribbean and the Haunted Mansion. Disney does a beautiful job theming these unique shops to their French Quarter surroundings. 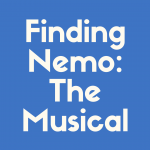 This blessedly air-conditioned building is home to a plethora of interactive activities centered around Disney’s legacy of animated motion pictures. It’s also one of the few places in the parks where you can make yourself a free souvenir (great because adults, unlike kids, have bills to pay). You’ll make your own piece of art seated in a auditorium-style theatre, where a Disney artist will teach you how to sketch a variety of characters. After that, you can hit the Sorcerer’s Workshop to learn how that sketch comes to life on screen, or walk through a museum-style exhibit of a feature film’s creative process. Great for hot days, downpours, or quiet time, and a truly fascinating look at the industry that made Walt Disney famous. 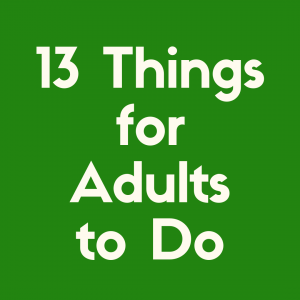 This list focuses on the attractions and experiences located within the theme parks themselves, but as an adult you are free to wander wherever! 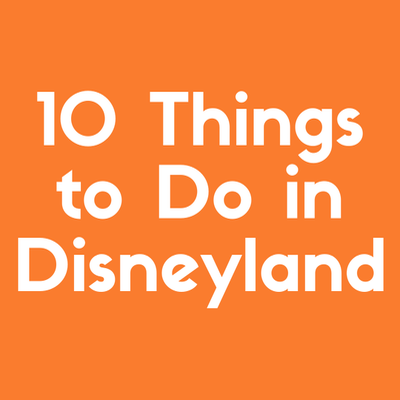 Make sure that wandering takes you over to Downtown Disney and the three Disney resort hotels, which are The Grand Californian, the Disneyland Hotel, and Paradise Pier Hotel. They boast food and experiences that make any trip better. The Grand Californian, for instance, has a spa and a renowned restaurant, Napa Rose. Princesses of all ages can take part in classic afternoon tea at the Disneyland Hotel, while shopaholics will never get bored at the flagship Disney Store, World of Disney. From thrilling rides to gourmet food and cocktails to learning new skills, Disneyland has it all for adults and kids alike.